Pablo’s Birthday presents the artist Galeno in collaboration with his Brazilian gallery Karla Osorio. 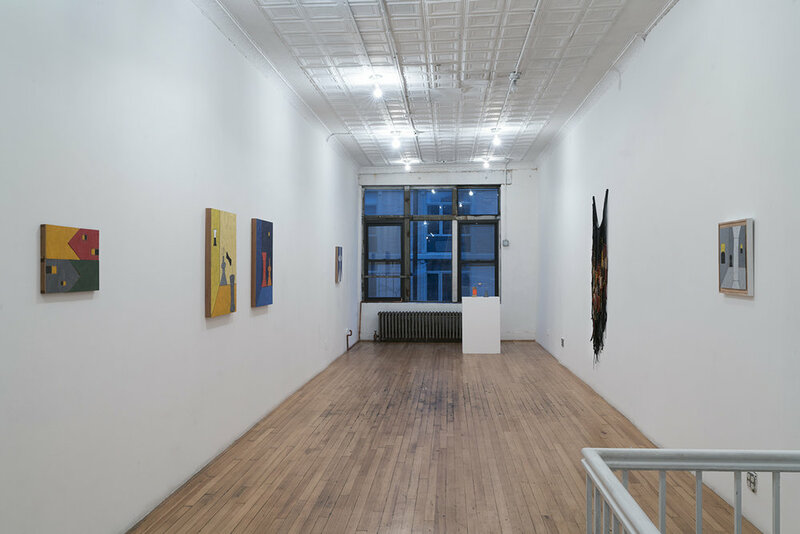 This exhibition represents the artist’s first solo gallery exhibition in the United States and brings together a consistent and mature production. Born in the north of Brazil (Piauí/ Parnaíba), Galeno lived, studied, and worked most of his life in Brasília. Three years ago moving back to his origins in his birthplace region, the artist deepened his research, enriching it with new meanings and an increasingly broad universe from paintings to sculptures and objects. He creates a new and original geometry, influenced by ancestral elements, connected to his own history. The show proposes a panorama of more recent works with a few historical pieces. Galeno is a leading Brazilian artist born in Delta do Parnaíba, Piauí (1957) and living between Brasília and Parnaíba. He studied visual arts at the University of Brasília (UNB). Using several techniques such as painting, drawings, engraving, fresco, sculpture and installation, he is one of the most active Brazilian artists. He chose his solitude in the last years to concentrate even more in his production. Mainly influenced by Brazilian constructivism and geometry, his work constantly fluctuates between figurative and abstract elements in an interpretive exercise. Through his unique treatment of colour and sophisticate compositions, he establishes a rhythm, constructing a vibrant universe. Contemporary, but strongly attached to his personal history, he turns his subjective experience into universal themes through a poetic symbology. He incorporates unexpected and innovative elements, retracing in an erudite way his artistic path. Among his main subjects are trivial objects such as: reels, lamps, keyholes, chameleons, fragments of a modern architecture, river boats, saints and reliquaries, which all together become part of a new vocabulary. Art and life are merged, telling a story, sharing a past, generating a new future in art. Galeno has participated in numerous group and solo exhibitions in Brazil and abroad, mainly in Europe. There are several texts and publications on his work. He has won several awards such as Acquisition Prize, including for residences abroad. In 2012 he was chosen by the IPHAN/MinC as the author of the Our Lady of Fatima church’s great panel, in Brasilia, succeeding the great Italian-Brazilian painter Alfredo Volpi. He participated at Bienal do Mercosul 2015. His works are in several private and public collections in Brazil and abroad, including Museu de Arte do Rio, Museu de Arte Moderna in Rio de Janeiro, among others. According to curator Marco Antonio Vieira, Galeno’s works seems to “gravitate around the objects picked by his desire as a painter. An encounter of intense colorations in which the figurative elements abandon their anchorage in the scene which would contextualize them to appear as quasi-phantasmatic signs, so as to hint at a chain which denotes dislocation and reiterates a symptomal picture in which the same appears altered yet insistent. There would be, therefore, something tantamount to a structure which takes on the form of a signature herein. It is within this framework that Galeno is seen.